Can apps and gadgets really help you lose weight? 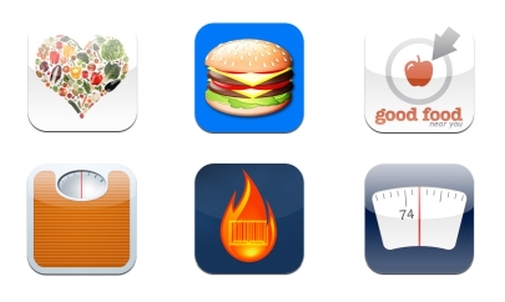 Home / Cool Web Apps / Can apps and gadgets really help you lose weight? We live in a fairly tech-savvy world full of appliances, gadgets and smartphones with seemingly endless functionality. It is therefore understandable that we rely on our high-end technology in almost every aspect of our daily lives. Dependence on technology is by no means a bad thing – if it weren’t for our ancestors’ flint spears, fur coats and fire making skills we wouldn’t be here today. The problem is that we have become too dependent on technology, expecting it to shape our bodies for us in addition to all the other tasks we put upon it. Sitting around while machines do everything for you is a way of life that does not require an especially buff or lean body, nor does it require great physical strength, endurance or limberness. You can be a Roman senator who enjoys the finer things in life, eats what he wants, doesn’t do any hard labor and has a fat belly and two chins or you can be the lean, muscular slave who is always on his feet doing all sorts of physically exhausting work. You can’t have it both ways. However, people have started inching along a path that promises to marry the two opposites. 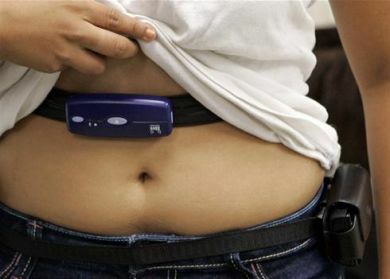 The question is how much can modern technology help with weight loss and fitness. Can the senator be coaxed into doing what the slave does, so to speak? Workout apps – these usually feature a big database with anywhere from a few hundred exercises to over a thousand exercises with variations, written explanations, pictures and videos. Another thing they incorporate is a way to calculate your Lean muscle mass vs. fat mass, BMI and track your measurements, weight and exercise proficiency (the increase in weights lifted or repetitions) allowing you to see your progress on a chart. These apps will usually have an integrated a countdown timer/stopwatch function or an alarm set up for different types of interval training, which can sometimes be the most helpful aspect of the app. You will also find quite a few specialized apps that cater to a single type of exercise like running, swimming or cycling. Calorie tracking and nutrition facts apps – these contain huge databases of thousands upon thousands, even hundreds of thousands foods, with various information on them. There is the general type which will take into account some basic items like beef, chicken, produce, eggs, dairy products, bread and so on, and then help you make calculations for your specific meal based on its ingredients. The other type are apps that give you the calorie count and/or nutrition facts of food items you can buy in all major restaurant chains. They will usually provide you with ways of calculating your daily intake and perhaps have added features like showing restaurants near you that serve a specific food item. Overall progress tracking apps – this type of app doesn’t really give you details on exercises and workouts, or a comprehensive list of food facts, but is a general way to keep track of all aspects of your weight loss effort. They will keep track of things daily calorie intake, calories burned, water consumption, measurements and weight, as well as giving you the ability to write down notes and comments. These apps can be a good reminder and provide an overview, so you can better gauge your progress and change things that might not be working for you. Apps related to specific weight loss programs – these include apps designed help calculate things like Weight Watchers points plus, provide you with a diary to keep track of your progress and an alarm reminder that’s it’s time to eat for meal replacement programs like Nutrisystem and Medifast, and may include some of the features listed in the other app types above. These are perfect if you are a subscriber of a specific program, but will be of limited use if you are not. While you can have an equivalent of a little fitness trainer in your phone, it takes some work and determination on your part to listen to the advice and perform the routines. Various measuring devices – they can be as simple as body fat percentage measuring calipers that you use to pinch fat folds and get numbers that you can use to perform calculations or high-tech like the Omron Body Logic Fat Loss Monitor which sends a light electrical current through the body and gives you a digital read out of the approximated results. Then you have digital scales, pedometers, heart rate monitors and the like. Small devices like the Fitbit try to incorporate several functions, allow you to store the data on a computer and have the information presented to you in the form of a chart. 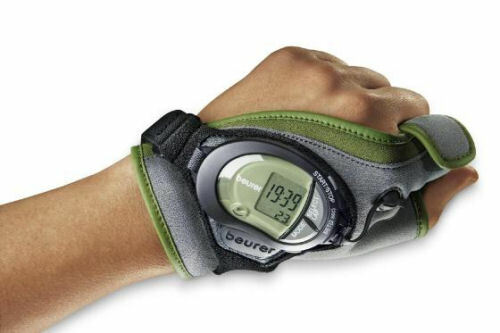 There are also special running shoes on the market which incorporate sensors which work in conjuncture with electronic bracelets or other devices to gather data about your workouts which can be later read out on the computer. Fitness equipment – that can range from high-tech and big like full on treadmills and elliptical running machines, their smaller counterparts like the steppers, all the way down to the minimalistic approach of the Ab Wheel or resistance band and exotic machines for suspension training. There are some interesting unconventional approaches like the Flex Belt and similar ab devices that electro-shock your belly into submission, the Fitness Ball Chair that makes your core muscles work as you sit at the desk and the self-parody that is the Shake Weight. Provide you with realistic and accurate information about your weight, size, fat percentage, heart rate, speed, etc. These tools can provide you with a competitive edge, make it easier to work harder, but you need to want to work harder in the first place. You can have all the assistance and tools in the world, but what it really comes down is your willingness to act. If you have the mental strength to get out of the sofa every day and push yourself physically, pairing that effort up with quality dieting program then these devices can make a huge difference, but you need to make the first step. A lot of great athletes started their carriers as small children, practicing in their backyards with no more than their own bodies a few odds and ends and grim determination bordering on fanaticism. To get in decent shape and lose some pounds of your belly you don’t have to have the determination of a future world champion, but it does take a fair amount of commitment. In my opinion apps and gadgets can help you out significantly when it comes to weight loss, they will make things much easier for you. That however is their limitation – they are there to help make things easier, but you have to start going down the right path yourself and then keep on going and going until you succeed. And then going some more. Ivan Dimitrijevic is a blogger who likes to lead a healthy lifestyle and take care of his body. Amongst other things he enjoys writing on health and weight loss related topics like meal delivery services and diets, in which he has personal experience, and has had many articles published in this niche.